Recipe by Shelli Burton-Olin - Because everyone should have a great chicken dish in their repertoire! Cook frozen broccoli (fresh broccoli may also be used) in a small amount of boiling water until crisp-tender. Drain well. In a medium bowl, whisk together, cream of chicken soup, mayonnaise and lemon juice. Spread a little soup mixture in the bottom of a 9x13 baking dish. Arrange broccoli over soup mixture. 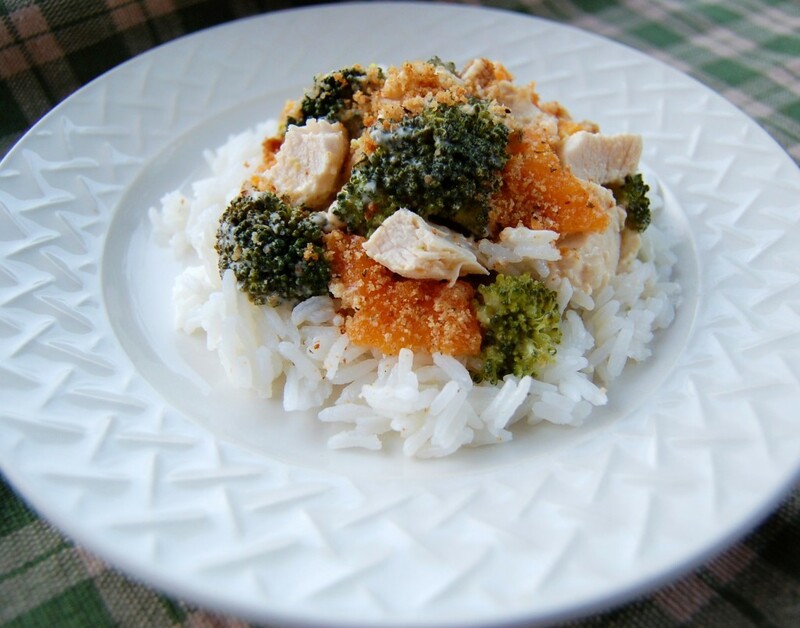 Arrange cooked chicken on top of broccoli. Spread the rest of the soup mixture over chicken. Sprinkle with shredded cheddar cheese. In a skillet, brown bread crumbs with butter. Sprinkle on top of cheese. Bake at 350 degrees for 30-45 minutes. Serve over rice.